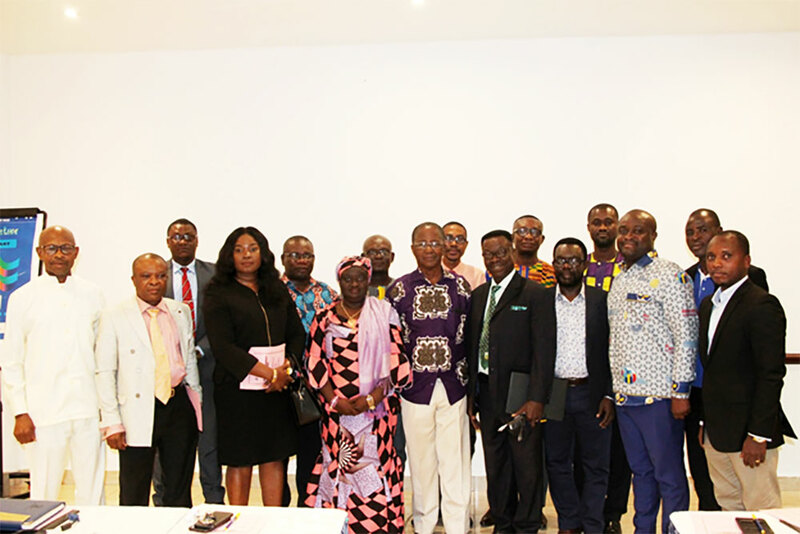 The Governing Council of Kumasi Technical University (KsTU) has gone through a day’s workshop at the plush Golden Tulip Hotel in Kumasi to further expose members of the University Council to improved university governance. The workshop is part of an elaborate programme drawn by the University to re-orient the staff and the other stakeholders of the University on better ways of governing the University. It also gives further impetus to the established relationship between KsTU and the University of Mines and Technology (UMAT) as a result of memorandum of understanding signed between the two institutions. The workshop was under the chairmanship of Prof. Dr. Ben Baffoe-Bonnie who is the chairman of the KsTU Governing Council. In his welcome address, he expressed happiness for the programme because according to him, it would go a long way to help the functioning of the Council. He entreated all members present to fully participate. The main facilitator for the workshop was the founding Vice Chancellor of UMAT and a former Council chairman of the then Takoradi Polytechnic Ing. Prof. Daniel Mireku-Gyimah. He walked members through the University’s Statutes and the parent Act that establishes the Technical Universities (ACT 922) as well as the amended version (Act 974) of the parent Act. He was emphatic that very soon, there will be a common Act of Parliament that will regulate all public universities in Ghana. He further indicated among other things that such an Act will rather have reduced members of Council, a situation which will be different from what is in existence currently. He encouraged the Council to be bold and act according to the dictates of the governance instruments. He further charged members to continuously ensure that all issues of conflict of interest are eschewed since they have the potential to compromise ones integrity. The Mining Engineer encouraged the KsTU Governing Council to be strictly guided by the University’s Act and the Statutes. He said that was the only way through which the sanctity of the Institution could be protected. Other members of the University who were present at the programme were the Interim Vice Chancellor of KsTU Ing. Prof. Mike A. Acheampong, Acting Registrar Mr. Abraham Annan Adjei, the University’s Relations Officer Dr. Charles Obeng-Sarpong as well as the Senior Assistant Registrar (in-charge of Human Resource Development) Mrs. Florence E. Aflakupui.